In a wireless sensor network (WSN), sensor nodes collect data from the environment and transfer this data to an end user through multi-hop communication. This results in high energy dissipation of the devices. Thus, balancing of energy consumption is a major concern in such kind of network. 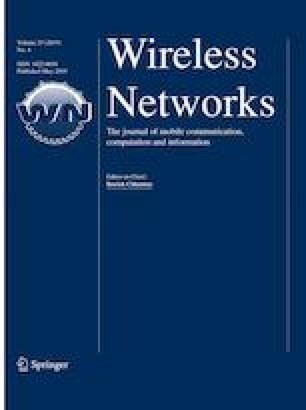 Appropriate cluster head (CH) selection may provide to be an efficient way to reduce the energy dissipation and prolonging the network lifetime in WSN. This paper has adopted the concept of fuzzy if-then rules to choose the cluster head based on certain fuzzy descriptors. To optimise the fuzzy membership functions, particle swarm optimisation has been used to improve their ranges. Moreover, recent study has confirmed that the introduction of a mobile collector in a network which collects data through short-range communications also aids in high energy conservation. In this work, the network is divided into clusters and a mobile collector starts from the static sink or base station and moves through each of these clusters and collect data from the chosen cluster heads in a single-hop fashion. Mobility based on ant-colony optimisation has already proven to be an efficient method which is utilised in this work. Additionally, instead of performing clustering in every round, CH is selected on demand. The performance of the proposed algorithm has been compared with some existing clustering algorithms. Simulation results show that the proposed protocol is more energy-efficient and provides better packet delivery ratio as compared to the existing protocols for data collection obtained through Matlab simulations.